***UPDATE: The written entries submission period has closed. Photo submissions will remain open through May 20, 2017. 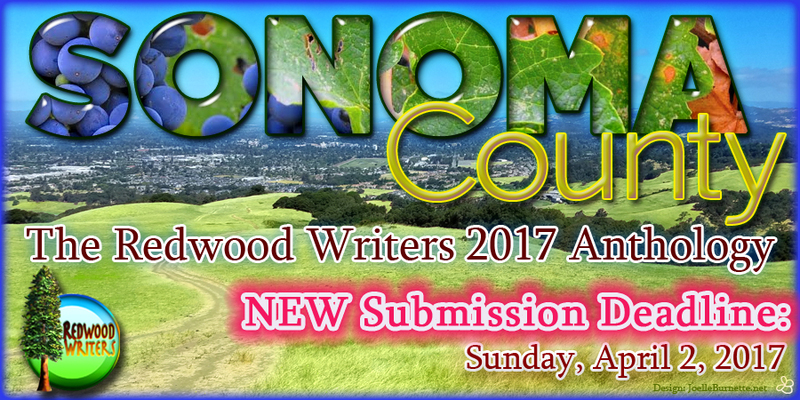 We are pleased to announce guidelines and criteria for our 2017 anthology, a book that will be all about Sonoma County. Our theme offers members the chance to seek out and capture stories that will give readers a better sense of what makes this land so special. This includes stories about people, places, history and activities that have helped define this county. For this anthology, we are adding a whole new category of stories. The book still will feature short fiction and poetry, but we also plan to include a wide range of non-fiction (including memoir). Our hope is that this entire mix of stories will appeal to readers far beyond our own membership. Indeed, we want to emphasize we are looking for stories that will appeal to general readers. Unique stories that break new ground, captivate readers and capture some significant or interesting aspect of Sonoma County. Works that are uniquely shaped because they are tied to Sonoma County. In other words, the story wouldn’t be quite the same if it were based in some other part of the country. For many of us, nonfiction writing will be a new challenge. The editors of this anthology understand this and want to help members embrace the challenge and succeed. To that end, some of the editors will make themselves available to give feedback as you consider possible subjects and think about how you might pursue and write your stories. We also will bring in speakers to offer some wisdom at an anthology workshop on Saturday, Jan. 14, 2017. Before you begin your submission, we would appreciate it if you would inform editor Robert Digitale of the topic. To do so, send a synopsis of up to 200 words (In it, please summarize why the story will appeal to general readers). Send the proposal to [email protected]. He will be happy to inform you if someone else also plans to write on that subject and, if you wish, to assign two coaches to briefly offer feedback on what approach would best improve your submission’s chances for publication. Under this process, multiple people still may choose to focus on the same topic, but at least they will know that it’s unlikely that more than one of those submissions will be accepted. And while participation with the coaches provides no guarantee of your submission’s acceptance, our intent is to help give valuable feedback for preparing your prose or poetry. Robert Digitale is a staff writer at The Press Democrat, and for more than three decades has written a wide range of news and feature stories. He also is the author of the fantasy series, The Root of Glory, which includes the novels Horse Stalker and Blaze & Skyfire. Catharine Bramkamp publishes both prose and poetry. Her poetry has been included in a dozen anthologies, including And The Beats Go On, and a chapbook, Ammonia Sunrise (Finishing Line Press). 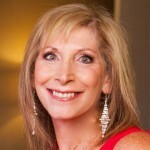 She is co-producer of the Newbie Writers Podcast and teaches at two universities. She has written 17 novels and 3 books on writing. She is the chief storytelling officer for a wine company because social media can be a lot like poetry. 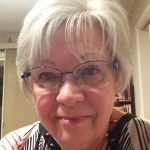 Teresa Henry established careers in law and education while residing in the eastern U.S. She began a career in the full-time writing of poetry approximately six years ago. She has been published in Healdsburg and Beyond (2016) and Stolen Light (2016). Her upcoming debut collection of poems is scheduled to be released in early 2017. She is a member of the American Academy of Poets. Arlene Miller, also known as The Grammar Diva, is the author of nine grammar books and a novel. Her award-winning books include The Best Little Grammar Book Ever, The Best Grammar Workbook Ever, and Fifty Shades of Grammar. 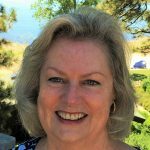 Arlene is also a blogger, copy editor, speaker, workshop presenter, and former English teacher in Petaluma. She was the editor of the Redwood Writers 2012 anthology, Call of the Wild. 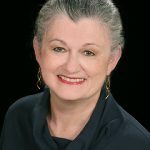 She has been a featured speaker at Redwood Writers, South Bay Writers, Sonoma County Book Festival, Bay Area Independent Publishing Association (BAIPA), Sonoma County Library, Romance Writers of America, College of Marin, Copperfield’s Books, and several community groups. Belinda Riehl is a winning haiku poet. She writes fiction and memoir, and also blogs and enjoys editing. She is one of the vice presidents of Redwood Writers, and chair of the 2017 Retreat Committee. Belinda was awarded the Redwood Writers 2015 Pullet Surprise (say it aloud) for her volunteer work. She is a contributing poet to the Redwood Writers monthly newsletter, and her prose is included in the 2016 anthology Untold Stories–From the Deep Part of the Well. Janice Rowley’s fiction and poetry is included in And the Beats Go On, Stolen Light, Water, and Untold Stories—anthologies published by Redwood Writers. She served on the Redwood Writers board of directors and as membership chair for three years. She was a judge and editor for Untold Stories, and currently serves as copy editor for the RW newsletter. ACCEPTED: Works of fiction, non-fiction, or poetry. Only original, unpublished works. NOT ACCEPTED: Opinion pieces or essays. Rather, our emphasis is on stories. Authors may SUBMIT UP TO THREE PIECES. You can submit up to one piece in each category of non-fiction, fiction, and poetry. BLIND SUBMISSIONS: Manuscripts must be submitted as blind submissions: include the title and word count of the piece, but the author’s name must not appear anywhere on the manuscript. WORD COUNT: Stories can be up to 2,500 words. POETRY LENGTH: Each poem can be no longer than 28 lines maximum. A judge also may make a submission, but he/she will not take part in the blind judging of that piece. Must comply with the Chicago Manual of Style 15th or 16th edition. Spelling and grammar errors could cause a submission to be rejected prior to the editing process. Include a 50-word professional biography at the time of submission. 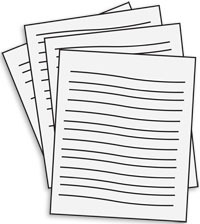 Document format: Your piece(s) should be formatted as a Microsoft Word document (doc or pdf, not a docx). Each piece is to be submitted separately (one document per submission). Uniqueness and ability to captivate the reader (See item 1, above). Story structure and voice. How does the writer tell the story and how well does she/he tell it? In addition, nonfiction stories will be judged on accuracy and relevance. We want you to get at the heart of your topic and to get it right. For fiction, stories also will be judged based upon dialogue, characters, pacing, and story arc. MAIN IDEA—The poem conveys or evokes a main or overall idea or feeling or thought. For this anthology, the MAIN IDEA should convey or evoke an idea, feeling or thought that is related uniquely to Sonoma County. WORD CHOICE—The poem uses imagery and concrete words to express or support the MAIN IDEA. It avoids vague words and clichés. POETIC FORM—The parts of the poem relate together to form the MAIN IDEA. The poem observes poetic conventions such as using sounds, lines, stanzas, repetition, and metaphors, even rhyme, to express or support the MAIN IDEA. GRAMMAR—The poem follows prevailing rules of grammar for word arrangements, phrases, and sentences. The decisions of the judges are final. There is no appeal process. CLICK HERE to open the submission form for PHOTOS, ONLY. Redwood Writers contests and books pages.